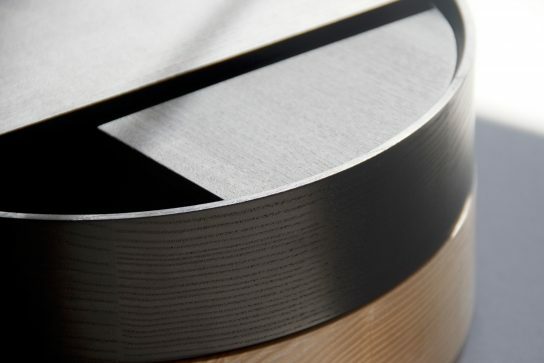 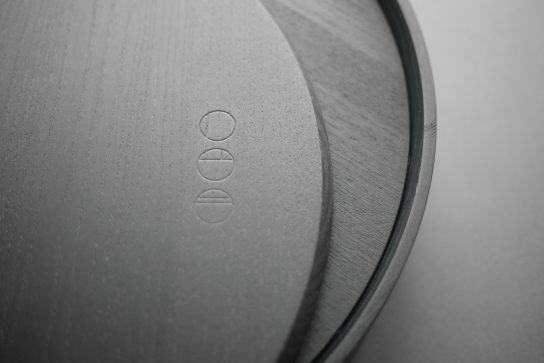 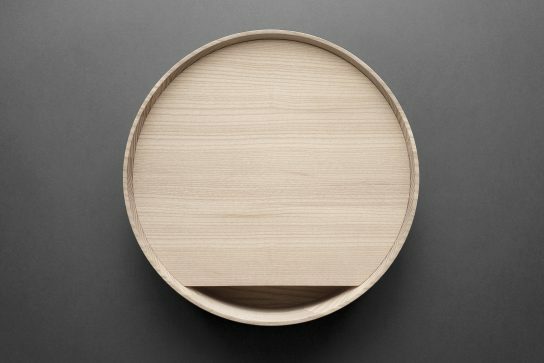 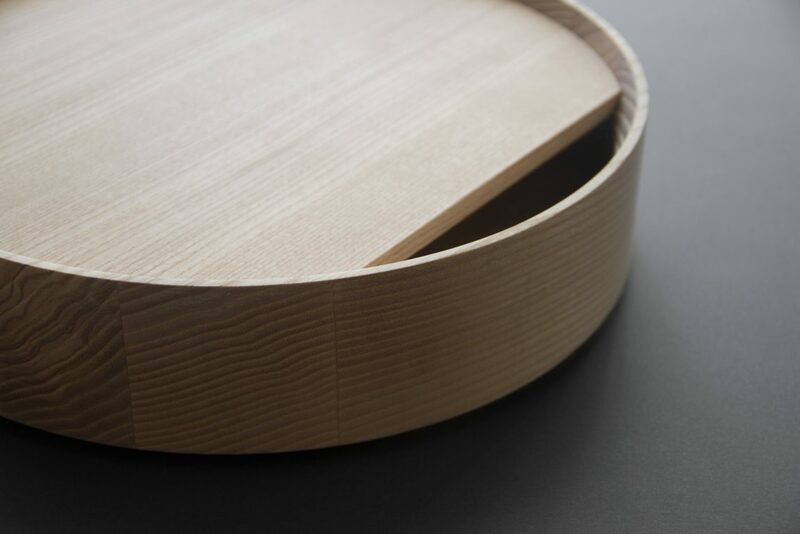 Woodware is a three part series originally conceived for an exhibition, which explored the particularities of and overlaps between graphics and product design. 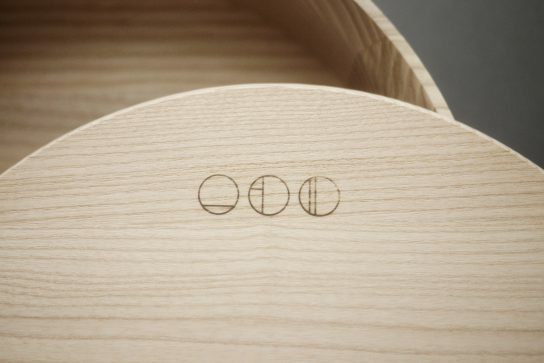 The center compartments and the lid form clear lines while enable the objects stored to be sorted. 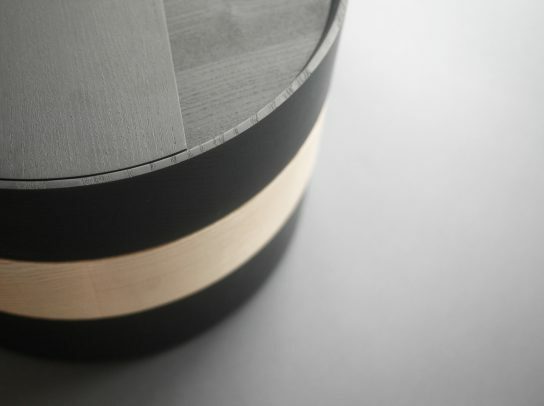 Reminiscent of Japanese rice bowls, the containers can be stacked as well as used individually. 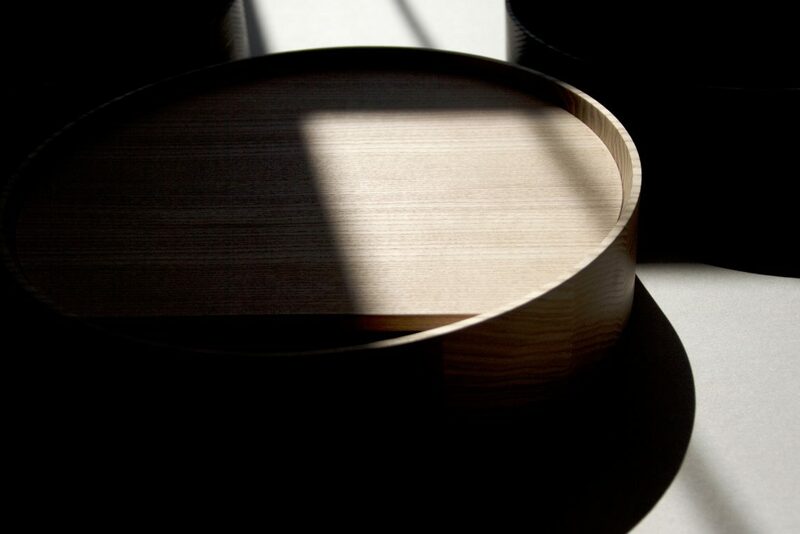 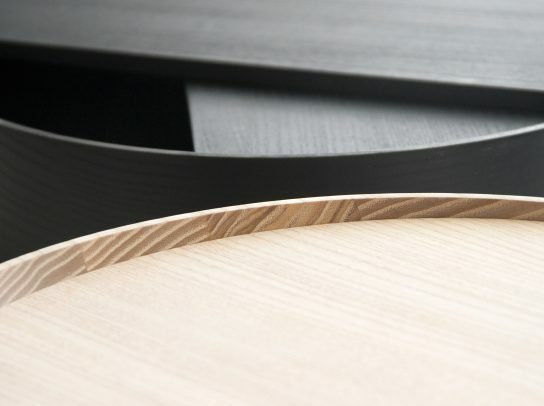 Woodware is made of turned ash wood either left untreated or stained black.